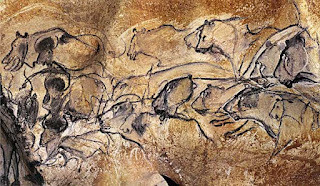 The Musée du Quai Branly, Paris’s museum of art and ethnography, has initiated a new cultural partnership with the Chauvet cave complex in the Pont d’Arc valley in Ardèche, southern France. The first exhibition under the new agreement is due to take place next May at the 17th-century Vogüé chateau in Ardèche. Drawn from the Quai Branly’s permanent collection, the show will include religious and hunting objects. “This show is due to be the first [in the partnership] and will reflect the themes seen in the murals painted in the caves,” says a museum spokeswoman. Meanwhile, the Quai Branly has beefed up its contemporary art programme with a major show on recent art’s relationship with shamanism opening this month as well as an important exhibition of Australian Aboriginal work of the 1970s, set to open in October. As part of a cultural cooperation agreement with the National Museum of China in Beijing, a show focusing on Chinese dining traditions is due to open in June.